To purchase a gift certificate, please select how many participants and non-participants you would like to include. All activities are by appointment and are not necessarily private. If you require a private session please purchase a gift certificate, which allows you to indicate the private option at the time of purchase. An additional fee of 25% of your session will be applied. A non-participant is someone who does not handle a hawk, but may otherwise fully participate in the session. Enhance your falconry experience with an additional 45 minutes. 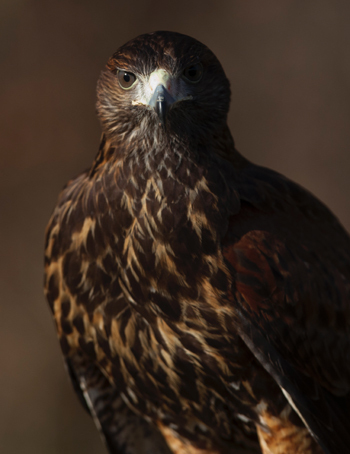 In addition to flying a Harris' Hawk, a second raptor species will be flown. Experience handling and flying of a trained Harris' Hawk, followed by a falcon lure-flying demonstration. The session continues with flying our Barn Owl to the glove. We conclude with a flight demonstration with our Verreaux's Eagle.